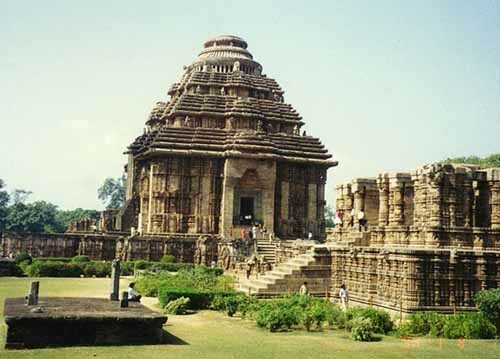 The Sun Temple of Konarak in Orissa near the shore of the Bay of Bengal. Built in the 13th century by King Narsingha Deva of the Eastern Ganga dynasty, the temple once served as a landmark for the European Sailors, who called it "The Black Pagoda". The Konarak Temple is a monumental representation of the sun god Surya's chariot; its 24 wheels are decorated with symbolic designs and it is led by a team of six horses. The temple is considered to be one of the Gem in Indian Architecture. In the past many scholars have written books, monographs and articles, but the measures on conservation and preservation of Sun Temple seldom reflected.